It’s a fact, every home is in need of Tempe handyman repairs. A drippy faucet or running toilet can cause real stress by keeping you awake all night. A broken cabinet drawer can add drama to an already full day. Not to mention the example an un-repaired home is setting for your children. I am an expert in keeping your home and its value well maintained and repaired. Don’t let small unresolved repairs become bigger and more expensive repairs. Having this trusted Tempe handyman on your speed dial is a benefit that only 300 “A” – List Clients can enjoy when it comes to keeping their home well maintained and repaired. 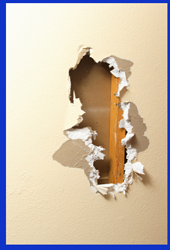 Tempe Handyman Repair Services Include . . .